When I first conceived of this as a feature I vowed I would do two things: 1) chose one specific scene from a novel and its adaptations and speak exclusively to that scene, and 2) maintain a quasi-academic objectivity about the adaptations themselves, free of my own personal perceptions of the merit or quality of an adaptation. And yet here I am, in my second crack at this damn thing, about to break both my own rules. Shirley Jackson’s The Haunting of Hill House is a beautiful terrible novel that feels weighted with significance. Some of that significance reveals itself immediately like a lightening bolt to the head, but other times it is slower, a groundswell of meaning that only reveals itself with time. 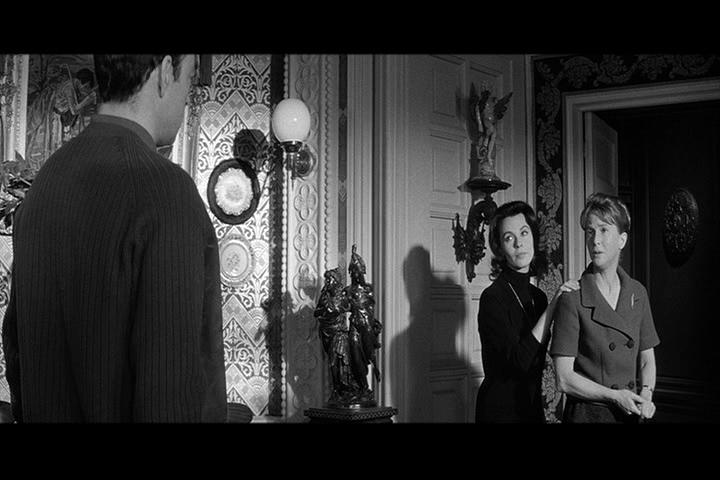 Robert Wise’s The Haunting (1963) is a mostly-faithful, well-executed film adaptation. Jan de Bont’s The Haunting (1999) veers sharply from the source text and also happens to be a bewilderingly awful film. Finding a single scene to compare across the novel and both its adaptations was incredibly challenging. The scene I ultimately settled on was the “writing on the wall” scene, in chapter one of part five. Eleanor’s first reaction is to repeat that it this “crazy” and to beg for it to be wiped off. She immediately turns to the group, first accusing Theodora of writing it, then the doctor, and finally Luke. Luke humiliatingly responds by accusing Eleanor of wanting him to go around writing her name everywhere and “carving [her] initials on trees.” Dr. Montague tells Eleanor that she knows “none of us wrote it,” the exclusionary implications of that pronoun not lost on her. Theodora, however, is calm and even cheerful. With “a bright smile” she accuses the “drab, timid” Eleanor of writing it herself. At this Eleanor loses even more control, wildly accusing Theodora of believing she wrote it for attention. When Luke snaps at Eleanor to cut it out and the doctor begins to laugh, Eleanor realizes everyone else believes Theodora is deliberately trying to make her angry to keep her from being frightened. 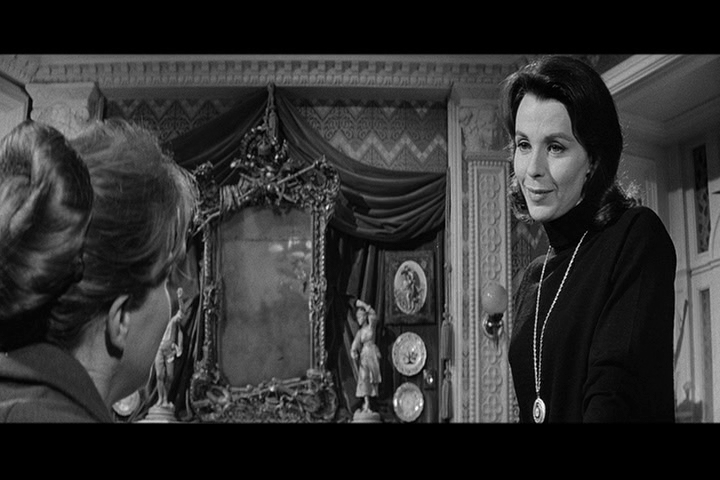 Robert Wise’s 1963 film adaptation, titled The Haunting, presents a relatively faithful adaptation of this scene. 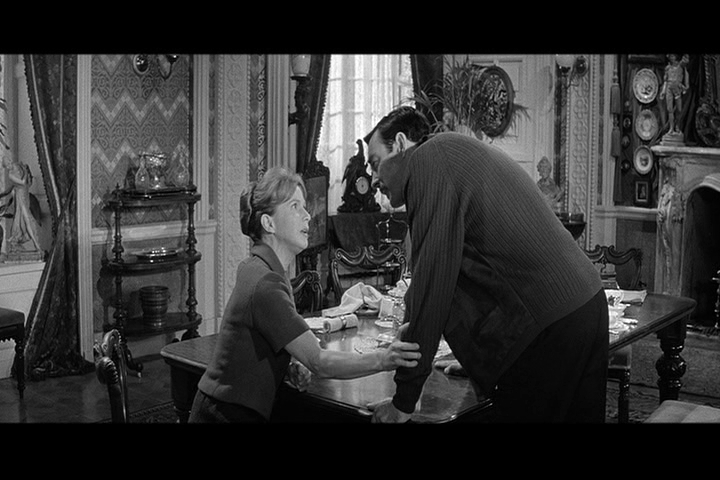 The setting and blocking, as well as the actors’ performances, are designed to emphasize Eleanor (Julie Harris)’s powerlessness. After reading the words on the wall, Eleanor immediately retreats from the hallway to the smaller, more claustrophobic space of the baroque dining room. At first, she is seated while both Theodora (Claire Bloom) and the doctor (here called Dr. Markway) stand, literally looking down on her in an almost paternal manner. As the scene progresses, Eleanor and Theodora’s positions are reversed, when Theodora sits and Eleanor rushes over to her in anger. But while Harris’ wide eyes and hunched shoulders convey Eleanor’s timidity and fragile nerves, Bloom’s posture is all cool nonchalance. Throughout this film, Wise does incorporates some of Eleanor’s internal monologue as voiceover, but that tool is absent in this scene. The result is that the scene essentially plays as you imagine the scene in Jackson’s would if it were mediated by any character other than Eleanor. Without access to Eleanor’s internal monologue, the viewer doesn’t get the same sense of her resentment, bitterness, and humiliation as the reader of Jackson’s novel. We only see her as angry, fearful and ultimately somewhat pathetic. Similarly, this version of the scene somewhat diminishes Eleanor’s autonomy. In the film, she is literally led around, physically moved by others. In the novel we have access to Eleanor’s thoughts; we see her weighing her desire to belong against her pride, and acting strategically in her own interest. In The Haunting of Hill House, Eleanor’s desperate struggle for self-direction and autonomy influences everything from her decision to steal the car she shares with her sister to her constant affirmations throughout the novel that she is present, that she exists outside of her own mind. Generally The Haunting appears willing to allude to Theodora’s possible lesbianism, but balks at suggesting Eleanor may reciprocate Theo’s attentions or interest. The script includes several coded but legible references to it: earlier in the film, Theodora admits her biggest fear is “knowing what she really wants” with a pointed look at Eleanor; later, in a heated moment, Eleanor hurls the coded slur “unnatural” at her. However, it eliminates the fleeting, unconvincing crush on Luke that Jackson included in the novel and redirects Eleanor’s attention (and obsession) from Theodora to the traditional, masculine figure of the patriarchal Dr. Markway. The tension between the film’s attempts to simultaneously downplay and emphasize Theodora and Eleanor’s relationship even in this single scene. The script includes a few significant additional lines for both Theodora and Eleanor. In this version, Eleanor not only accuses Theodora of writing the message, she goes on to say Theo wrote it because Eleanor didn’t wait for her before coming down for breakfast, choosing instead to eat alone with Dr. Markway. Theo’s extra line is concerning Eleanor’s hair; she wonders why, if Eleanor doesn’t want attention, has she done herself up and changed her hairstyle? The implication, of course, is that Theodora is jealous of Eleanor’s attention to Dr. Markway and she is paying attention to Eleanor’s physical appearance. In addition to augmenting the dialogue in the writing on the wall scene, he also amplifies the weight of Theodora and Eleanor’s accusations with an interesting change: he actually changes the appearance of the writing from the description in Jackson’s text. That is a far cry from the looping, fluid and distinctly feminine-looking cursive here. This, of course, doesn’t provide any answers as to who wrote the message, but it certainly adds a certain weight to the accusations Eleanor and Theodora throw at each other. While Wise’s adaptation of The Haunting of Hill House is largely faithful, Jan de Bont’s 1999 film The Haunting, as I mentionned, diverges wildly from its source text, and with dismal result. So while I’m still going to focus mostly on the one scene, I want to take a moment closer to the end to address what makes that second adaptation so awful and why it’s impossible to discuss any single scene in the 1999 The Haunting without the context of the rest of the film. To be completely fair to de Bont, The Haunting (1999) was hampered from the get-go: technically an adaptation of Jackson’s novel and not The Haunting (1963), the studio didn’t receive the rights to the the earlier film adaptation and was prohibited from replicating even a single shot. So de Bont had to either be incredibly creative in how this film was shot or diverge strongly from the source material. He chose the latter. For its first third, The Haunting plays like a relatively faithful, if somewhat pedestrian update of Jackson’s novel before receiving an outlandish, unnecessary backstory graft (which I’ll address later) that turns it into one long, ghostly CGI-riddled chase scene, a kind of Scooby-Doo for grownups, without any of the humour or the charm. 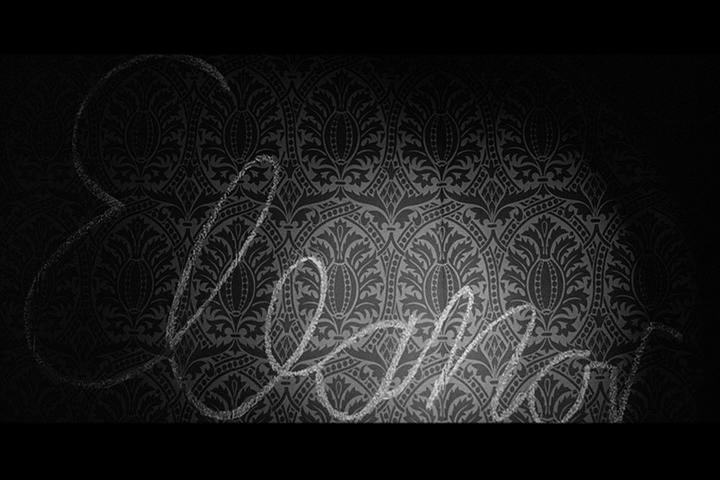 De Bont’s adaptation makes two enormous changes to this scene: it changes the actual words written on the wall and completely changes the character of Eleanor. Both of these changes are, in turn, influenced by the massive change it makes to the backstory of Hill House that I mentioned above. In Jackson’s novel, Hill House was built by rich industrialist Hugh Crain for his wife and two daughters. Before the family could move in, however, Crain’s wife died, with Crain himself following years later. Hill House eventually passed to the eldest Crain daughter, a spinster who lived in it with her female companion, a young woman from the nearby village, until her death. The younger, married Crain grudgingly accepted her sister’s inheritance of the house, but claimed that she was entitled to some of its contents, including a set of gold dishes. When the older Crain sister died, she left Hill House to her companion, who was ostracized by the people of her village. Crain’s younger sister was incensed at not inheriting Hill House. In addition to suing the companion, the younger Crain sister began to break into Hill House nightly to steal small items from the house (nothing was ever discovered missing). This campaign allegedly drove the companion crazy, until eventually she hung herself. In de Bont’s film, however, Hugh Crain never had children; instead, he abducted dozens of them from his factories and held them captive in Hill House, where he killed them. His spirit, trapped in purgatory, still hunts those of the children throughout Hill House. Eleanor discovers she is apparently descended from Crain’s runaway second wife and decides only she can set the children’s spirits free. This change transforms Eleanor’s character from the delusional, angry, attention-starved but sympathetic woman of the novel to a Chosen One – a righteous, confident saviour. One of the changes presumably resulting from this backstory change is a subsequent change to the actual words written on the wall. “HELP ELEANOR COME HOME” is ambiguous; the words do not lend themselves to a single, definitive message, author, or even addressee. Is it addressed to Eleanor? To the rest of the group? Is conveying the message of the evil of Hill House or is someone or something channeling the spirit of Eleanor’s mother? The words worm their way into the reader’s brain and can never quite conclusively be pinned down. In de Bont’s adaptation, however, the words are changed to “WELCOME HOME ELEANOR.” This message, especially splattered in blood across the menacing portrait of Hugh Crain, is unambiguous, less of a worm than a sledgehammer. This change is characteristic of an adaptation that repeatedly collapses the plurality of possibilities suggested in Jackson’s text into a single, indisputable narrative, utterly divorced from the psychological disintegration and emotional upheaval that make for so much of the novel’s horror. Jackson’s novel creates a claustrophobic feeling with Eleanor on the defensive, feeling attacked from all sides. But in this version of the scene, while it is still Luke who discovers the writing, Eleanor (Lilli Taylor) is the one who is in charge. As the group runs up the stairs toward the writing, she is the one who leads them. In this version, Eleanor does not unravel immediately or indeed, at all. It’s actually Theodora (Catherine Zeta-Jones) who sets the accusations flying, specifically targeting Luke (“is this one of your sick jokes?” she fumes). Luke responds in kind, and it is only then that Eleanor asks if Theodora wrote the message. Zeta-Jones plays the scene angry and hurt, a far cry from the cool, amused Theo of Jackson’s novel or Wise’s film (de Pont’s Haunting makes Theo explicitly bisexual and Eleanor asexual to the best of the viewers knowledge). In this scene Theo is the one who is angry and defensive; Taylor plays Eleanor as righteously indignant but still in control. The scene ends with Eleanor, her head held high, saying “Whoever did this, it’s cruel,” in a tone of composed disappointment before turning and walking away. This is a much more powerful position indicative of a much more powerful and secure Eleanor. She literally gets the last word and, far from being concerned with getting “back in the fold,” she is the one to turn her back them. What this represents isn’t just a change, it is a complete reversal of much of what Jackson accomplishes with The Haunting of Hill House. For one thing, De Bont’s film also utterly uncomplicates the original victim(s) of Hill House. It is impossible not to sympathize with abducted children; they’re an easy, ultra-sympathetic victims. Single, socially ostracized working-class women, like Eleanor and the unnamed companion are easier to ignore. For another, the very outlandishness of this backstory that makes it a more conventional and less interesting choice. One of the unique and fascinating things about the evil of Jackson’s Hill House is that it isn’t born out of a horrific, universally-condemnable act, but a petty, personal nagging: a relentless haranguing literally to the death. But most importantly the implications of the change to Eleanor’s character and her eventual end are deeply troubling. In addition to side-stepping the legal complications the film faced, this change also smacks of an attempt to “modernize” Eleanor and to turn her into more of a 1990s-appropriate Strong Female Character(™). 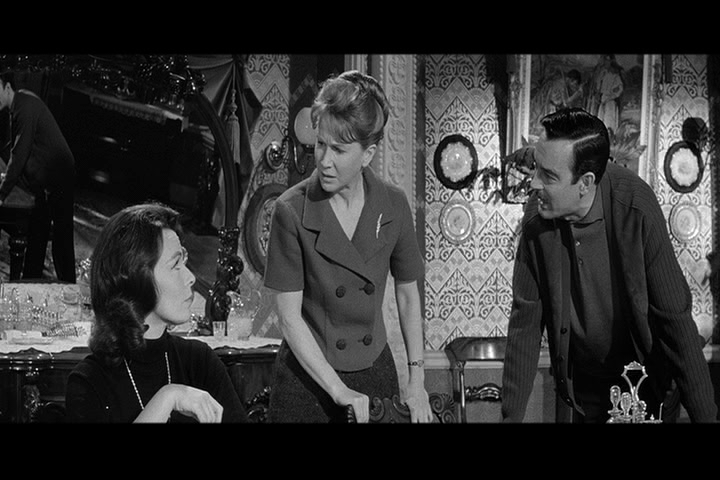 The 1963 The Haunting may have made Eleanor gentler and leaned harder on the loneliness of her situation than its oppressiveness, but didn’t do the character the disservice of making her a hero. By the time the reader meets her, Eleanor isn’t strong. She has been scarred by years of isolation and (implied) abuse, and she sees with helpless, suppressed rage. De Bont’s film takes this complicated story of the trauma of self-abnegation and reduces it to one of dutiful daughters and mighty Madonnas. The only time this Eleanor is allowed to chafe against her self-sacrifice is in the film’s initial scene with her sister. By the end, de Bont’s Eleanor serenely accepts the ultimate sacrifice as her destiny. It’s worth it, it goes without saying, for the sake of the children. This is a regressive move, reinforcing the very thing Jackson criticizes. The Haunting of Hill House offers no empowerment to Eleanor and no salvation. Hers is a dark, troubling end, but somehow less disturbing than the “happier” The Haunting provides. The ghost-children are freed and Eleanor gets a noble death, and somehow that is supposed to comfort the viewer and provide a sense of resolution. What it really does, though, is reinforce that the happiest ending a woman can hope for is getting to choose the manner of her self-sacrifice. Now that’s scary.